ATHOL- Joyce E. (Bevis) Sinclair, 83, of Laurel Street, died early Monday, June 11, 2018 at Quabbin Valley Healthcare in Athol. Born in Athol on August 15, 1934 to Ruth (Stone) and Alvah Bevis, she graduated from Athol High School in 1952. Joyce married William Sinclair on November 12, 1955. Employed by the Town of Athol in the Public Works office for many years, she retired in 1998. Joyce had previously worked for the Swift River Box Company, and was a teacher’s aide for the Jack and Jill Kindergarten School. Joyce was always very active and served as a Bluebird and Campfire Leader, a Director and Treasurer for Athol Little League, various church committees and fairs at Athol Congregational Church, volunteer for blood pressure clinics and Order of the Rainbow in high school. 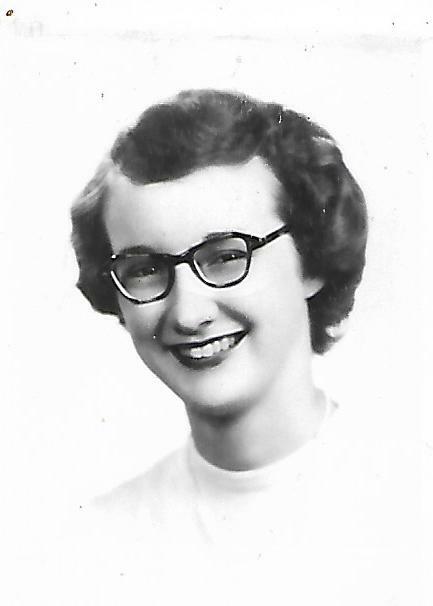 Joyce enjoyed taking trips to Maine with friends, crafts of all kinds, spending time with family and her many friends, going for ice cream with her pride and joy- Emily, as well as planning and attending class reunions. Joyce is survived by her daughter, Susan Sinclair of Athol; sons, Michael Sinclair of Orange and Mark Sinclair (Linda Manogue) of Georgia; daughter in law, Jean Sinclair; a granddaughter, Emily Sinclair; former daughter in law, Suzanne Sinclair and her children, Mark Gabrenas, Josh Gabrenas and Kristen Gulliner; many nieces and nephews; as well as extended Sinclair and Bevis family members. Calling hours will be held on Monday, June 18, 2018 from 9:30-11 a.m. at Witty’s Funeral Home, 158 South Main Street, Orange. A funeral service will follow at 11 a.m. in the funeral home with Rev. Beverly Prestwood-Taylor of the Athol Congregational Church officiating. In lieu of flowers, donations are suggested to CAPS Collaborative, 2 Narrows Road, Westminster, MA 01473 to continue with the great care and education that Emily received at Mahar CAPS; the Athol Congregational Church, Book of Memory for Joyce Sinclair, 1225 Chestnut Street, Athol, MA 01331; or to Heywood Healthcare, Athol Hospital Fulfilling Our Promise Campaign, Attn: Kim Gagnon- Philanthropy Office, 242 Green Street, Gardner, MA 01440.